I always seem to get rostered on to make morning tea at work during the most busiest weeks of my life. And this time around, I had to provide morning tea on the last day of school for 2016! The last week of school is always hectic, so adding in preparing food for a load of hungry teaching staff just added another thing on to my list. 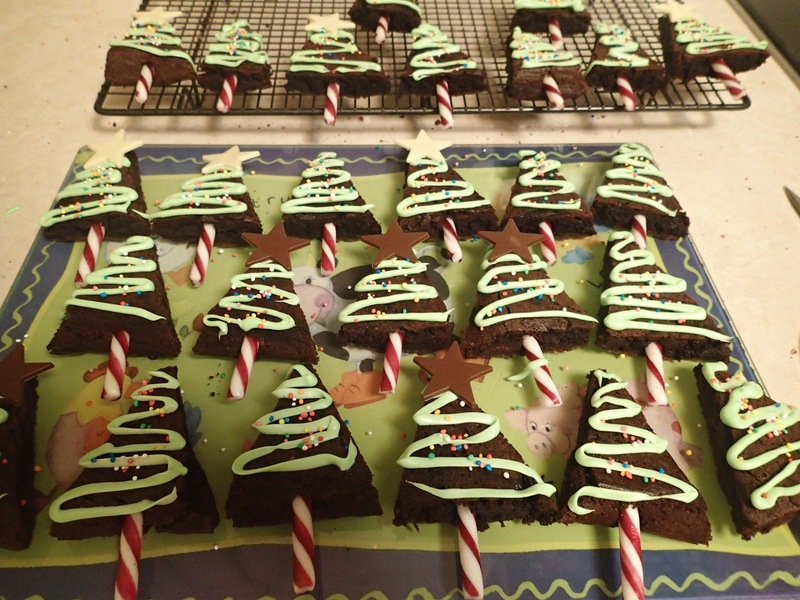 I was determined to make something good though, because, well I just can’t help myself. 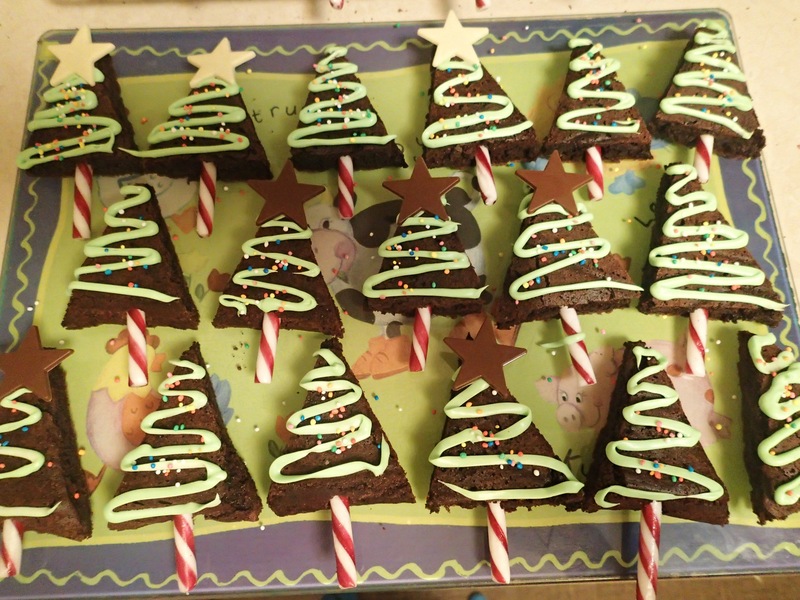 I’d seen these Christmas tree brownies on the Internet and had wanted to make them for a while, so this was the perfect opportunity. Although, at 10pm on Wednesday as I wrestled with 30 candy cane wrappers, I did wonder to myself why I hadn’t just bought something from the shops pre made. 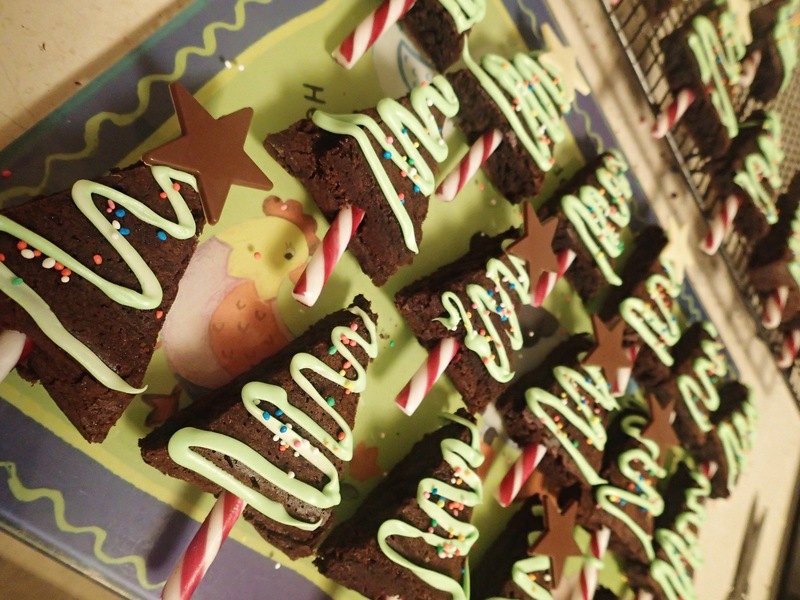 They turned out great though, and I *think* they were appreciated. A few people said they liked them anyway.